The map of China is provided for general orientation; the boundaries shown do not imply official endorsement. The United Nations University is an organ of the United Nations established by the General Assembly in 1972 to be an international community of scholars engaged in research, advanced training, and the dissemination of knowledge related to the pressing global problems of human survival, development, and welfare. Its activities focus mainly on peace and conflict resolution, development in a changing world, and science and technology in relation to human welfare. The University operates through a worldwide network of research and postgraduate training centres, with its planning and coordinating headquarters in Tokyo, Japan. Analysis of the impact of macro-events on women and the role of women in determining changes in the household is important for a better understanding of society. In conducting such an analysis, the adoption of a life-course approach, both retrospectively and perspectively, is particularly useful as a way to identify changing relationships among individuals within the same household and the long-term implications that these changes have for the structure of society. On this basis, the Household, Gender, and Age Project of the United Nations University conducted a series of case studies in Colombia, Brazil, Argentina, Chile, Kenya, China, and Sri Lanka between 1983 and 1988. 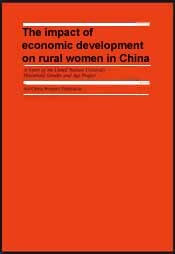 After introducing the context and objectives of the project in China and describing its research activities and the methodology adopted, this volume presents a synthesis of the research results.